Either that or he is not ready. Kids get ready for different things at different ages, and it's not fair to the kids or the people around to bring the kid too early. I think James has been on the balcony of Buckingham Palace for the family photos after the Trooping of the Colour. They have taken him to the Olympic games and he attends the Royal Windsor Horse Show. I probably should have been more clear. I meant it's been years since William and Harry attended an Easter service with the rest of the royals at Windsor. William and Kate have definitely attended services elsewhere - like with C&C and the Middletons. Didn't Louise attend her first Easter service when she was around 7 or 8? They may be following the same timeline with James, so that means we'll possibly start seeing him at church services next year. You know...I have always wondered if the way James was cutting up at his lone Trooping Balcony appearance, and in turn stole the show from Granny, has more to do w/him not attending Easter/other big Family Events. Sure he could promise to be on his best behaviour, but kids are also kids and they love to cut a shine if given a chance. Which James more than pounced on. .
Any pictures of Charles and Camilla in Scotland? What year did William and Harry stop going to Windsor for Easter? Charles, William and Harry stopped going to Windsor for Easter in the mid-90's, I believe. I went through the pictures on Getty Images, and the last pictures I see of Charles, William and Harry at Windsor for Easter was in '95'. Queen, Princes Philip Charles and Harry will be at Gurkha Pageant on June 9 to celebrate 200 years of regiment fighting with British army. Looking forward to it. I have read that actor Robert Hardy will be there- though I don't know how true that is. If there are pics of him and the BRF and POTUS, I will be thrilled! FYI - He may turn up at the VE or VJ thing too- he's been before. 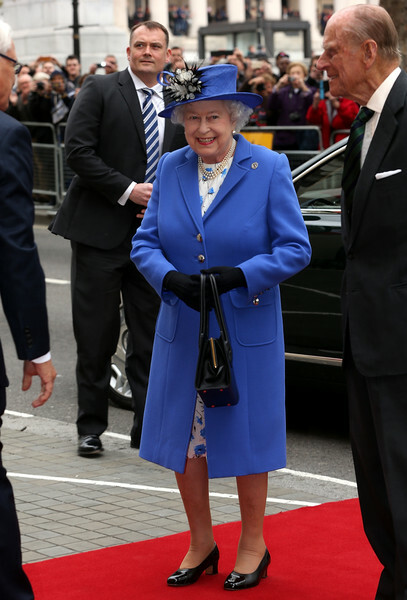 The Queen and the Duke of Edinburgh are attending a regimental reception at Canada House right now. The Queen, Duke Of Edinburgh and Princess Alexandra attend reception at Canada House - April 19, 2015. She looks wonderful as usual. The Queen, in her capacity as Colonel-in-Chief of the Calgary Highlanders, attends a reception at the newly re-opened Canada House to celebrate the Regiment's involvement in World War I. .
HRH Princess Alexandra of Kent was also present. #RoyalBaby If the baby arrives at weekend and William can't make Cenotaph for Gallipoli service, Princess Anne will take place by Queen. It surprises me that Andrew and Edward are not participating or attending any services for this 100th anniversary, especially since Andrew was in the Armed forces. Prince Harry is in Turkey with Prince Charles to mark over the next two days the centenary of the ill-fated Gallipoli landings. Harry flew into Ataturk Airport, Istanbul, last night ahead of the commemorations. It sounds like Prince Harry's sleeping off the jet lag today. No formal engagements. Charles due later to attend the President's banquet. Harry's first formal engagement in Turkey at the start of the commemorations is with Charles tomorrow, meeting descendants on HMS Bulwark. "The Prince of Wales and Prince Harry on board HMS Bulwark where they are meeting descendants of those who fought in the #Gallipoli campaign." "The Prince of Wales chats to military personnel on HMS Bulwark @royalnavy #Gallipoli100"